Filmmaker Peyton Reed understands well that good things sometimes come in small packages. That’s why even though he obviously crafted Ant-Man and the Wasp, his second major movie in the Marvel Cinematic Universe, to play big and bombastic on the towering screens at the multiplex, he’s just as excited for audiences to enjoy it again or discover it for the first time at a scaled-down level on home video. With the film available for digital download back on October 2nd and making its Blu-ray and 4K Ultra HD debut today, October 16th, Reed helped host a showing of original concept art from the film at Los Angeles’ Hero Complex Gallery prior to the release. He also took some time to join ComicBook.com to reflect on his experiences making the film and look ahead to where he might take the characters next. In fact, the future looks very female, as he has big plans percolating for both Hope and Janet van Dyne, as well as Cassie Lang. And there’s the increasingly very real prospect of finally getting his hands on Marvel’s first family, if the Hollywood deal-making gods ultimately smile on the ever-nearing Disney-Fox merger. ComicBook.com: When the movie arrives on home video, what gets you excited about the second life of the film, as the person who directed it? Peyton Reed: I think the thing that excites me is, honestly, I want everybody to see the movie in the movie theater, big and the way it was meant to be, but the reality is that most people will see it either streaming on a device, streaming at home, or on Blu-ray or DVD or something, so for me it feels like, weirdly, finally, there's a sense of permanence about the movie. It's like it's there. And I like the bonus feature stuff. I was a guy who from the beginning of LaserDisc and all that stuff, was into supplemental stuff. I went through all the formats. I went through VHS, Super VHS, LaserDisc, DVD, Blu-ray, because the features were always really fun, so that's something I think that kind of can give this enhanced experience to the movie. If someone could only watch one of these bonus features, which one do you want to point them to? Well, I think the inclusion of the Quantum Realm scene that we cut out. One, because it's Michael Douglas and Michelle Pfeiffer, and two, it's a really cool scene! It kind of gives you a hint of other intelligent life in the Quantum Realm. It didn't ultimately find its place in the movie, just in terms of sort of the pace and momentum we were after, and it really almost felt like instead of clarifying the Quantum Realm, it might even confuse the issue. I love the scene, but very late in the game, it was just decided we just like, "Uh, I don't think there's room for it. It'll make a great bonus feature." But I like that that scene's there, because I think they’re both really, really fun in that scene. You see a lot of footage of working with Paul Rudd and how much fun it must be on set to just watch him go to town with his ability to just riff and find new comedy moments. Yeah, these movies, obviously, are really dense and technical, and they can be very hard to make. The days are long, and there are a lot of days to have someone like Paul at the center of the movie for me, I think we have a very, very similar approach about the attitude that we like to bring to work and the vibe that we like to have on set, so it's nice to have Paul — when you're behind schedule or some technical thing isn't working out, he definitely helps the mood stay [up]. Nothing's been set in stone yet, of course, but now that you've done two Ant-Man films, how much ownership do you feel over the characters, and over the franchise? Do you feel like it's kind of your particular corner of the MCU? I absolutely do, yeah. I have such a great affection for these characters, and I do feel ownership with these characters. I mean, when Paul went off and did Civil War with the Russos, I had some jealousy issues, but I really do. I like this corner of the universe, and throughout working on Ant-Man and the Wasp, we certainly talked about things we set up in this movie that we want to pay off in the continuation of these characters, and though certainly nothing's official yet, I'm really hopeful. I'd love to do another one. Can you talk about like the things that are still on your mind as you walked out of the second film, as far as where you might take the characters and the concepts, or even the kinds of set pieces that you're still thinking about playing with? Yeah, no. I think there's a lot of them. I mean, even the Art of Ant-Man and the Wasp book [...] you'll see all of the imagery in that book, that some of it is really, really exciting. We just couldn't find a place for it in the movie. It was all part of our visual exploration. But you know, I think we're always thinking of things and gags, but more importantly, thinking of the character, how to expand those characters, and take them to new, unexpected places. So I do think there's a lot of story still to tell with all of those characters. Especially with Janet it feels like, because we meet her again so late in the game and you set her up so interestingly. It seems like you really have some things percolating with her. There’s definitely a lot to discover about Janet van Dyne, and when we talk about the fact that she's evolved as a result of being in the Quantum Realm for 30 years, we've seen a little demonstration of that, but we really have yet to learn kind of how she's evolved and what she's like as a person. That's something that we just scratched the surface of in this movie, so I definitely would be excited to further that story. Is there another character in your troupe that you're interested in building more story around? One in the ensemble that you're thinking, "I know there's still great stories to tell with this one that we haven't delved into." 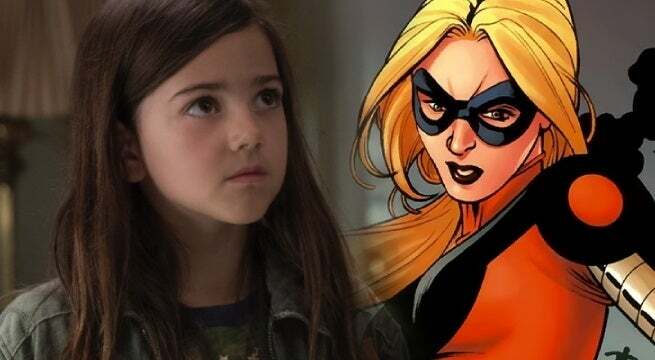 Well, I think one of the things that we've set the seeds for in both movies — and I think particularly in Ant-Man and the Wasp — is Cassie Lang, Scott's daughter. In the comics, she goes on to be a hero in her own right, so I love the idea that in this movie we see that moment where she covers for Scott and stands up to the FBI agent. We see a little bit of her father's personality in her. I'm intrigued to kind of see what the future holds for Cassie. Would you time jump maybe to get her to where she would be the right age to kind of take on that superhero role of Stature? It's possible. I mean, it really is. There's some interesting stuff in the Nick Spencer Ant-Man comics where I think they're living in the Miami in the comics, but Cassie is in high school, and she's having typical sort of issues that high school girl might be having, and I like the idea of Scott Lang sort of having to deal with Cassie at almost any age. I like that dynamic a lot. I'm sure not as much in the dark as the rest of us, but do you kind of have to wait to see where the next Avengers movie kind of leaves everything before you can even think about what you're doing next? Or are you in the loop deep enough that you can kind of start creatively percolating now? I certainly know enough. I definitely know enough — but even knowing what I know about that movie, there's so many different ways to go with these characters or things that we set up, some having to with events in that movie, and some not having to do with that. 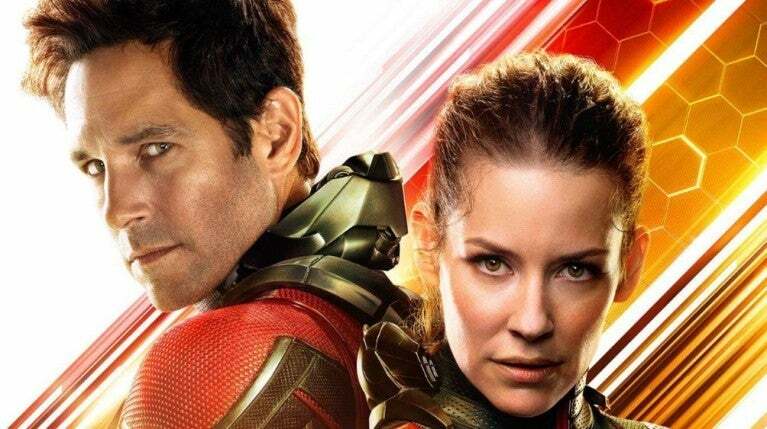 I know Evangeline Lilly has said she doesn't really ever want to see Wasp and Ant-Man split apart into separate franchises. Do you feel the same way? I mean, it's something where I really like them as a partnership, and I think it's one of the things that's unique is that outside of, I guess, Captain America and Falcon, there aren't really hero partnerships in the MCU, and there's certainly not a male/female partnership like that. That dynamic interests me the most. I mean, I can't say I would be against a standalone Wasp movie, but I just find that their dynamic the most interesting thing. In what ways did the audience response to Wasp inspire you for what you might do down the line with her? Well, I was thrilled with the response. And I've talked to Evangeline a lot about it. I think that the things we set out to do with that character, I feel like we achieved, and she's a really formidable hero, and, I think, a complicated hero. I think there's a lot to discover yet about that character, and the dynamic with Scott, but I was really happy with how she was received by audiences, and it definitely is sort of, buoyed by that. I think there's some things that we, given the chance, will definitely do with her. If you want to stay solidly at the helm of the Ant-Man universe, do you need to keep your eyes on that prize, or are you able to veer maybe into another Marvel project if the timing and the opportunity are right? I'm open to anything! I've been a fan of that comic universe since I was a kid, and can sort of speak the language about those heroes. So yeah, I think it'd be cool to tackle something tonally different too. The deal between Fox and Disney seems to be moving closer and closer to reality, which means that the MCU might be ready to introduce sooner rather than later a Fantastic Four. If Marvel were to present you with that opportunity, and you've obviously thought about it a lot previously, when you think about the MCU as it exists and your ideas about Fantastic Four, what are you thinking now about how they might be integrated? Well, listen: as a fan, I certainly find that intriguing, because in the comics realm, the Fantastic Four are the crown jewels of the Marvel Universe. They are the first family of Marvel. I think there is a version of Fantastic Four that has yet to be rendered in the movies that would really, really excite me, and I certainly think there are at least six different ways to introduce Fantastic Four into the Marvel Cinematic Universe in a really satisfying way. I haven't really thought about it that much, honestly, because who knows about these mergers? I really, as a human being, I don't know how long these types of mergers take, and when that stuff is practical, so I've really been just focused on the Ant-Man stuff — but I love the idea. How has the experience on two Ant-Man movies now, and working so closely within the Marvel structure, changed you or evolved you as a filmmaker? Well, I think it's certainly evolved me in terms of my facility with working with visual effects and doing action sequences and things like that, just sort of directing on a larger scale with those types of resources. The basic job is, obviously, always the same, whether you have too little money, or too much money, or somewhere in between. But we're the 20th Marvel movie, these movies have become very dense, and tight, and there's a lot going on in the movie, so it's something I just structurally think about all the time, and I find it incredibly challenging. When you step back and take a look at all 20 of those movies, and the sort of variety of tones and things, and the one constant being, even in the ones that you may like the least, there's a quality level there that, really, you can't question it. There's something going on there that's really, really working really well. It's an exciting place to work. 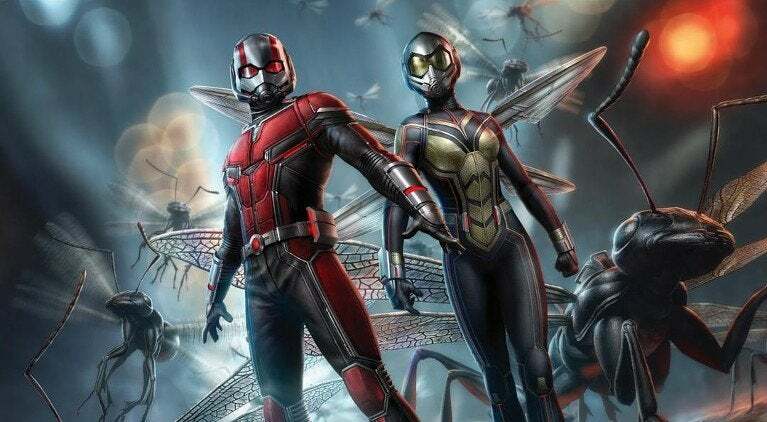 Ant-Man and the Wasp is available to own digitally as well as on DVD, Blu-ray, and 4K Ultra HD.